Security can be an intimidating subject area, but this need not be the case. Although time constraints may prevent systems engineers from becoming security specialists, guarding systems against attack is essential. With the growing success of the Internet, computer and software systems have become more and more networked. 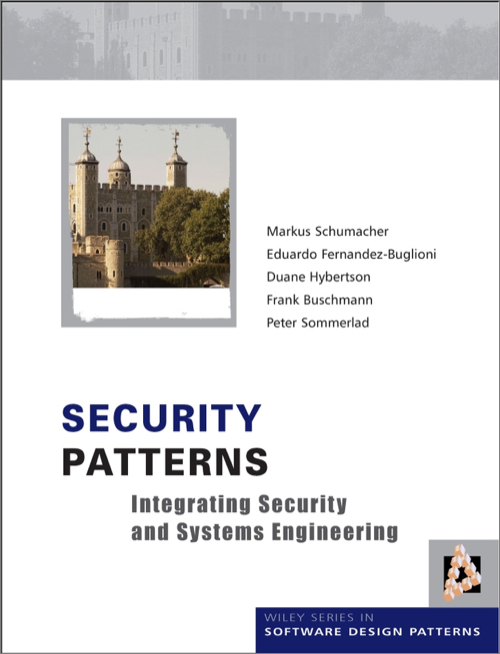 Written from the heart of the patterns community, the authors address key questions and present corresponding proven solutions, clearly showing you how to build secure systems. In a time where systems are constantly at risk, it is essential that you arm yourself with the knowledge of different security measures. This pioneering title breaks down security at various levels of the system: the enterprise, architectural and operational layers. It acts as an extension to the larger enterprise contexts and shows you how to integrate security in the broader engineering process. Enterprise level security – security management, principles, institutional policies (such as need-to-know) and enterprise needs (including confidentiality, integrity, availability, accountability, I&A, access control and audit). Architectural level security – system level solutions responding to enterprise level policies – and the most important level for facilitating building security into a system.